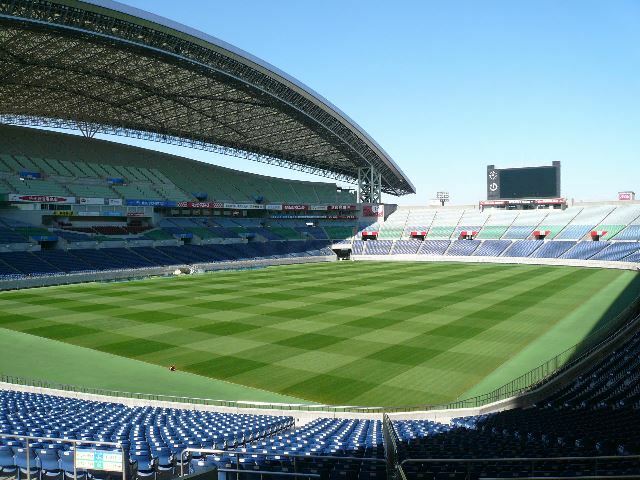 Saitama Stadium 2002｜Saitama Stadium 2002 is a world class stadium, largest soccer stadium in Japan. Saitama Stadium 2002 is a world class stadium, largest soccer stadium in Japan. Saitama Stadium Park 2002 covers an area of 60 acres. The main structure is Saitama Stadium 2002 surrounded by three soccer fields and two futsal fields. In addition there is a “Aqua Square” and a “Abies Square” which provides a very relaxing and enjoyable atmosphere. Copyright © Saitama Prefecture All rights reserved.